Israeli scientist Raphael Mechoulam and Ethan Russo, formerly of GW Pharmaceuticals, to lead a major R&D effort. Published in full by the O’Shaughnessy’s News Service. 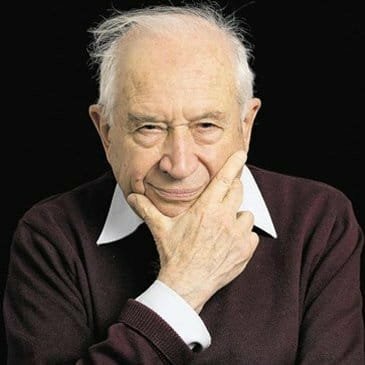 When Raphael Mechoulam entitled his 2012 talk to the International Cannabinoid Research Society, “Planning Research for the Next Half a Century,” he did not anticipate an ambitious start-up taking him literally. In his ICRS talk, Mechoulam suggested that investigators might profitably explore new applications for CBD, the uses of the CB-2 receptor, and the role of numerous fatty acids that are close chemical relatives of the body’s own cannabinoids. “I am glad that my work has played a catalytic role in drug development,” he commented in a March 1 email. Initially the company plans to develop cosmetics, skin-care products, nutraceuticals, and food supplements—not drugs requiring FDA approval. The crown jewel of the Phytecs site is a very clear, succinct-yet-thorough “Introduction to the Cannabinoid System,” by Ethan Russo, MD, who has left the employ of G.W. Pharmaceuticals to become Phytecs’ medical director. There is no more lucid expositor, and Russo’s piece will be widely read and appreciated by both professional and lay readers. Phytecs’s advisory board includes scientists Heather Bradshaw, Andrea Hohmann and Jürg Gertsch, ethnbotanist James A. Duke, and former Congressman Tony Coelho, who introduced the Americans with Disabilities Act. Bradshaw runs a lab at Indiana University that has been trying to determine the cause, at the receptor level, of endometriosis and other disorders affecting female reproductive function.